The big stars and races draw the most attention ahead of 2015, but some pro cyclists should be noted for their 2014 season and what they could accomplish in 2015. The five listed below are ear-marked by their teams. They often help other riders, but will have their chance to gain experience and win. The best example, and the oldest at 26 of our riders to watch for 2015, is Andrew Talansky. Garmin took him to the Critérium du Dauphiné and Tour de France, and got plenty in return. These riders have already showed promise, so it should come as no surprise at all to see them listed below, but more result should follow in 2015. How could we overlook one of Great Britain’s biggest talents coming up through the ranks? Simon Yates does not have the palmarès that twin brother Adam has, but should start to win his first races in 2015. Remember, Adam won the Tour of Turkey and the GP Industria & Artigianato, and placed sixth in the Critérium du Dauphiné in his debut year. Simon, however, already rode his first Tour de France after breaking his collarbone in Turkey. That experience will help him. What do we expect? Yates could take an overall win in a small stage race like Turkey and a podium place in one of the bigger ones, like Suisse or Dauphiné. 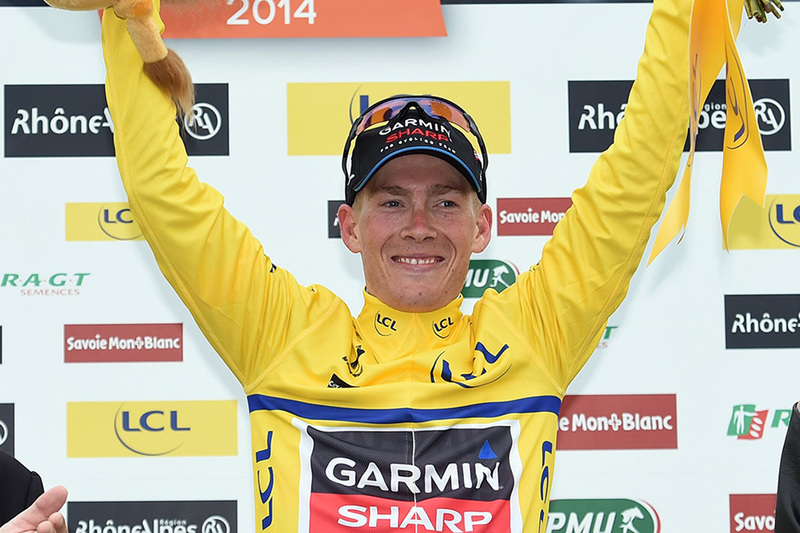 Talansky, at only 26, is the grand-dad of the list, but still has much room to improve. The American finished 10th in the Tour de France and second in Paris-Nice in 2013. In 2014, he surprised even himself when he took the heads of Alberto Contador and Chris Froome and won the Critérium du Dauphiné on the final day. He showed he was fragile and volatile at the Tour. Three crashes and time loses ruled him out of the overall, but did not zap his grit. Through dropped, he rode solo and refused to abandon during stage 11. Instead, he went home that night and promised to return. In 2015, the Florida native has it in him to win another big stage race like the Dauphiné and place on the podium of the Tour. The 22-year-old from Verona has yet to win, but Italians have tipped him as the up-and-comer to watch for 2015. After 220 kilometres in the Italian Championships, Formolo placed second only to Vincenzo Nibali. Nibali, of course, won the Tour de France a month later. He also placed second to Adam Yates in a summit finish in the Tour of Turkey and second, again to Adam, in the GP Industria & Artigianato. In the Tour de Suisse, he placed seventh overall. “He can already learn to be a leader in stage races for future Grand Tours,” former sports director, Stefano Zanatta told Cycling Weekly. ‘Bling’ has already made his mark in his first four years racing in the top ranks. 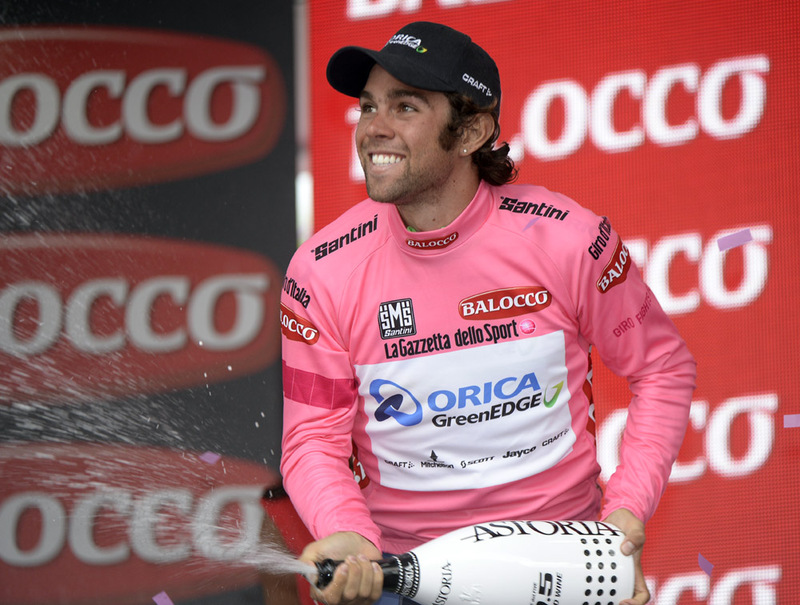 He won one stage and wore the Giro d’Italia’s pink jersey for six days in 2014. A crash forced him to skip the Tour, but he rebounded with a Vuelta a España stage win. In 2015, we expect that the Matthews will take another step ahead with his uphill kick and finishing sprint. Perhaps he will win a stage in the Tour and a one-day race like the Amstel Gold. Valgren already showed talent in the Under 23 ranks by winning the Liège-Bastogne-Liège twice. In 2014, his first in the top ranks, he confirmed his status with winning the Danish Championships solo and the Tour of Denmark overall. At the World Championship, a race of 250 kilometres, he rode free in an escape until the final climb. In 2015, the 22-year-old will support Tinkoff’s new star Peter Sagan but continue to improve in the races he loves: time trials and hilly classics. Expect to see the team allow him to gain experience, taking him again to Liège, and a chance to win in stage races like Denmark.